MT has one of the highest rates of soybean production in the world. Combined with cotton and livestock production and hydropower dam construction, these activities can endanger the survival of native populations and local biodiversity. 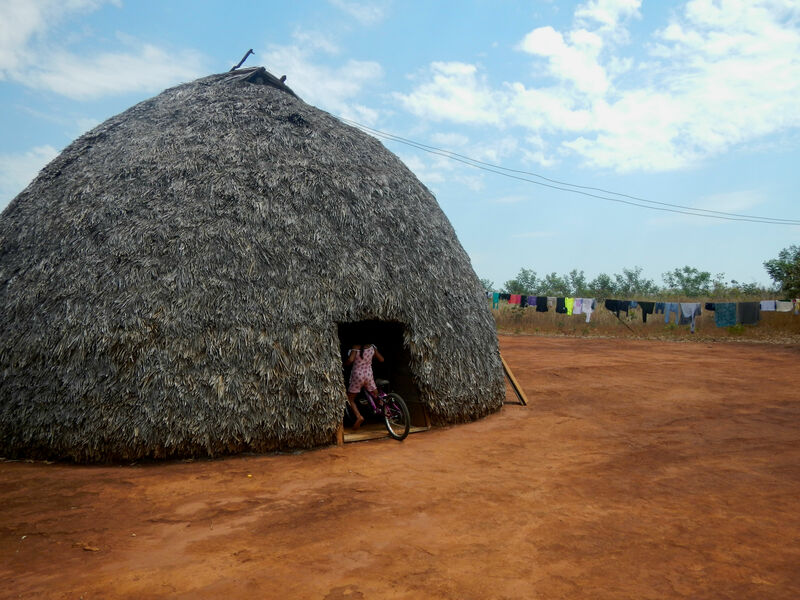 Brazilian ILs hold great ethnic and cultural wealth that safeguard a vast natural heritage. In an effort to protect their lands, there is a growing interest among indigenous communities in the Juruena River basin (MT) to develop income alternatives based on sustainable activities, such as tourism - that is perceived to hold potential for income generation, a way to promote indigenous culture and conservation. In this context, CSF-Brazil, in partnership with Native Amazon Operation (OPAN), assessed the process of implementing tourism in the region's ILs. This study provides information and analysis on the supply and demand of different models of tourism, the sector's challenges, experiences that better meet tourists' expectations and opportunities for better income distribution among the various actors of the tourism value chain. Our overarching question was: "What types of investments can generate greater returns to communities?" As part of our methodology, we used an online questionnaire sent to a list of potential tourists and tourism operators to understand the profile and preferences of tourists interested in these kinds of activities. We used a choice experiment, an economic valuation method based on the assessment of multiple hypothetical scenarios. This method allows for a quantitative interpretation of perception about the type of experiences offered and their price. The study demonstrated that the potential demand is especially interested in cultural immersion experiences for about 4 days, with traditional meals and overnight stays in indigenous ocas (i.e. traditional houses made out of mud). Respondents, however, stressed the importance of restrooms in good condition - thus becoming one of the priority investments for attracting tourists. There was also a preference for nature-based sightseeing and activities, such as adventure sports. The results can be used as an input for the creation of management plans of ILs activities. Our recommendations include that ethno-tourism in the region should focus on strengthening local actors capacities, to ensure the safeguarding of local culture, improving communities' standard of living and conserving natural resources. The study is expected to bolster community dialogue and decision-making, as well as stronger connections with tourism agencies, providing inputs to the tourism value chain planning process in the region. Please click here to read our complete report, here for more information about our first workshop in the field, and here about the final results presentation workshop. Photo: Indigenous oca in the Tirecatinga IL, MT, Brazil. Photo credit: Marion Le Failler.